A “zine” is an inexpensively made publication that is then distributed to a small group of people. It is often black and white and reproduced on a copy machine. 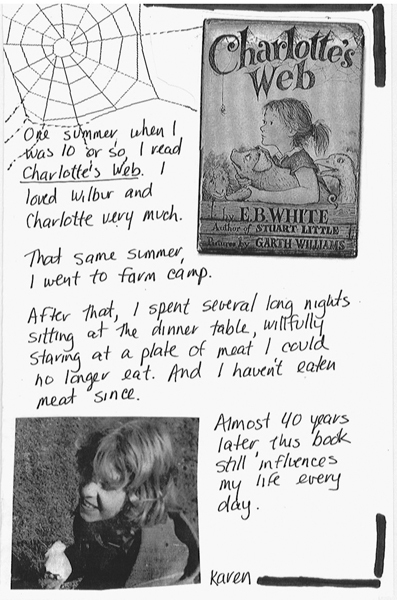 At Borderlands Writing Project, we are producing a zine about our memories of childhood reading. Each of is going to produce one page. Below is my page. I’ll post the final product when it is done. What ideas do you have for zines? 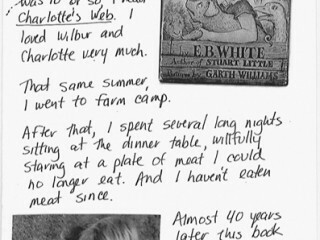 Do you have examples of zines that you’ve made that you can share? If so, please post below in the examples. I used Chad Sansing's Webmaker Activity to create this Zine for the MOOC. Print, fold and distribute!